The front part of the Chevy Cruze is to be unforgettable and stylish as it is the first thing what gets noticed. The front grille can be replaced with a new one that changes the boring fascia for stylish look. The grille guard can both bring a stylish look and provide the protection of the Cruze's front area from the damages caused by the road debris. There is a wide choice of stylish aftermarket chrome-coated grilles and grille guards, offered in the exclusive design and variety of materials to fit your Cruze and meet your expectations. 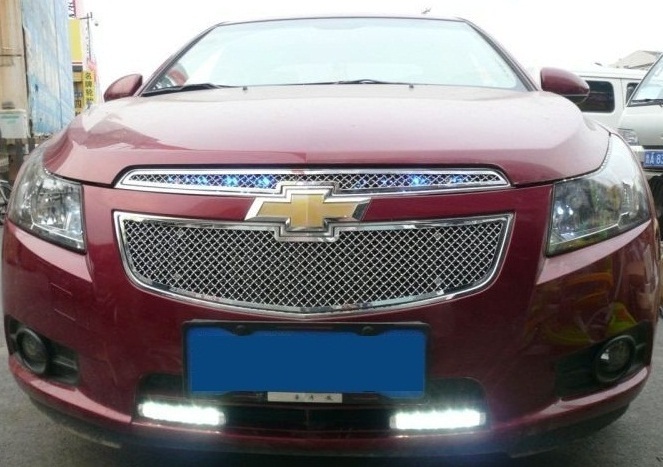 ■Great way to make the front end of Chevrolet Cruze stand out. 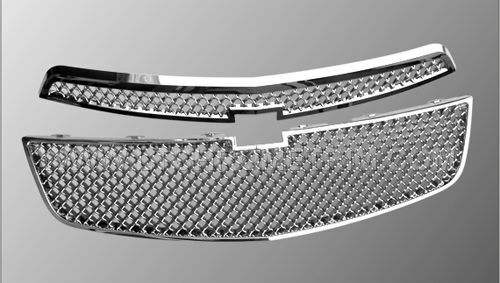 ■All chrome grille’s are manufactured to withstand the rigors of the elements. ■OEM grade polished chrome for a long lasting brilliant shine. ■Detailed instructions included with each chrome grille. 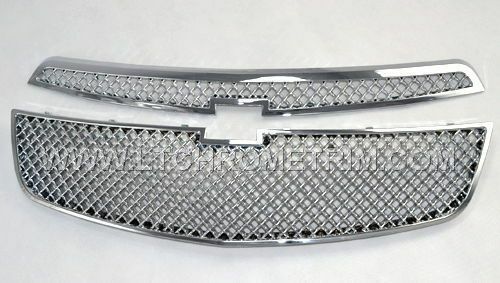 Most chrome grille’s require no modification to your vehicle. ■Complete the chrome look by adding more chrome exterior accessories to your vehicle.